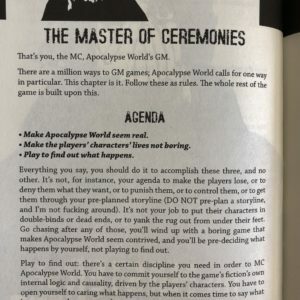 In my experience, people tend to play tabletop roleplaying games as either one-shots or with the expectation of a perpetual, extended campaign. I have thought off and on about running games aimed explicitly at a midpoint between these extremes. The television analogue here would be the mini-series. Something like True Detective season 1 or a self-contained anime series like Gargantia on the Verdurous Planet. The challenge would be to serve the agenda of play to find out what happens while also drawing the set of sessions to a close in a way that is satisfying. That is, how can one ensure the freedom necessary for fulfilling exploratory play while avoiding the mirror-image dangers of aimlessness and railroading? Here is a first pass at how I might think about setting up such a mini-series game. First, determine a handful (say, three) of questions regarding the fictional situation, for which an answer (any answer) would constitute a satisfying arc outcome. Maybe one of these could explicitly be a win/lose condition, as in some tournament modules, but that seems like the easy way out. Then, lay these questions out explicitly before play so the players are in on the particular enigmas. Second, gear preparation entirely toward the details around the enigmas. If other priorities emerge through play, or players end up more interested in other, unpredicted conflicts, that would be fine too. In my experience though, imminent uncertainty provides gravitation even without any other mechanical support, so just having a few big unanswered questions, such as the outcome of whether an invasion is averted diplomatically or by force of arms, may be sufficient. I might also consider something like building XP reward into advancing a countdown clock, but probably only after trying to run a something like this using an approach resting only on shaping player expectations. Finally, it seems reasonable to work with the assumption that while some or most such mini-series arcs may connect to nothing else, they also may be continued in subsequent seasons if everyone is enthusiastic, allowing characters to sometimes persist. To have integrity, one would need to sometimes follow through on the promise of continuity, otherwise I suspect everyone would revert to mentality more characteristic of one-shots, which would not quite reach the potential I see for this kind of play. Depending on the particular rules, Flailsnails would be another reasonable approach, but that only works for some types of games. This entry was posted in Speculations on February 2, 2018 by Necropraxis. What about a campaign where characters come and go? A mostly-continuous world with mostly-continuous players, but characters that exit when their story arcs complete? That said, I have wanted for a while to have a setting in my back pocket that I could break out whenever I felt like it. Ideally, I would develop the setting largely through such ad hoc play. None of the various settings that I have run quite seem to fit that bill. I think that is closer to what you are suggesting in your comment, but the goal underlying this post is slightly different. Good example of what you can do. I rather like this setting as you’ve described it. Thanks! Maybe I will get around to running it more often. I’m not sure “exploratory” is the best mode of play for a limited campaign, because exploration is by nature indeterminate and fractal – the latter meaning that you can explore at different scales ranging from entire worlds (planets, planes, or different realities in a multiverse) down to individual rooms or even aspects of a single location. I suppose one possibility would be to have a severely bounded area to explore, like an island with exactly three mid-sized dungeons or whatever. But as you sort of suggest with the allusion to tournament play, I suspect that a campaign of relatively set length would work best with a “mission” structure – like solving a mystery, freeing a town, defeating a boss foe, finding a MacGuffin, etc. You can keep things structured so that the methods used to achieve this goal are open-ended; you can have other interesting tidbits littering the landscape to allow for, essentially, side-quests. But having a mission to achieve “some time soon” without any particular prescription in how to achieve it seems like a good way to balance the railroad/aimlessness issue. I agree that exploration on a finite schedule is a challenge, but exploratory play is what I find most satisfying, so if it were truly impossible or impractical, that would be for me a good argument against this proposed mode. I like the idea of creating fictional boundaries to facilitate a limited amount of play time. It also might help avoid the tendency to spend time on prep that is less likely to see play. Though it would necessitate a bit more referee preparatory work, even just having two potential missions to choose from might create enough of the undetermined end or freedom that I am looking for. Making the objectives exclusive of each other might be a way to help constrain the complexity once play has started. Choice of aligning with one out of a set of opposed factions could be another way to structure this in a way that avoids dictating player goals more explicitly. For example: do you quest to destroy the ring, or wear it and attempt to conquer the shire? My guess is that the set goal with undefined methods (as you suggest) would also work, and honestly might be the easiest and most straightforward approach. After thinking through some alternatives in the process of writing this response, I think it will probably be what I try first. My wife and I play one on one. I failed to craft any overarching events in our campaign and simply strung together a bunch of modules with Fever Dreaming Marlinko at the center. She developed her character’s desires over time, barely. She had a rough idea of what her character wanted no specifics. Then a random table in Marlinko gave her a long lost sibling and I set up a Seven Samurai /Magnificent Seven sort of situation (bandits rob a village into near starvation every harvest) in the village where their mother lives. My wife latched on with the intention of retiring her pc there after. She was level 4, but only because I gave her way too much coin. Formula: sandbox + character goals that players accept + provide a means to reach goals = short campaign. Consider requiring retirement at a certain level. This would be more difficult with more players. I recently just got the ‘Shadow of the Demon Lord’ on DTRPG because it was $8 and seemed to get a lot of good reviews (well, the ones I found were mostly positive). The selling point for me was the idea that its built around levelling up after 1 or 2 scenarios (that, and it looked like I could mine the game for lots of good stuff). Thus an instance of a limited, short campaign as you’re suggesting. I like the idea of mission based, as I think that is often expressed in bounded terms that limit things. I am currently looking at an espionage campaign for something like this, where a mini-campaign will be like a ‘season’ in a TV series. I’ve been running traveller on/off the last 5 years and a lot of those scenarios have been mission based and exploratory. I think you can combine the ideas of ‘mission’ and ‘exploration’ well. But if you’re wanting to explore different rule sets then it might be a bit strange to have the same structure present in all the campaigns. Unless the PCs are perhaps in some realm like Asgard, or a world/ship in the Stargate Universe, and the premise is that getting to another world to accomplish your exploratory/investigative mission you go through a ‘gate’, and this might involve entering a universe whose rules are ‘different’ (i.e. 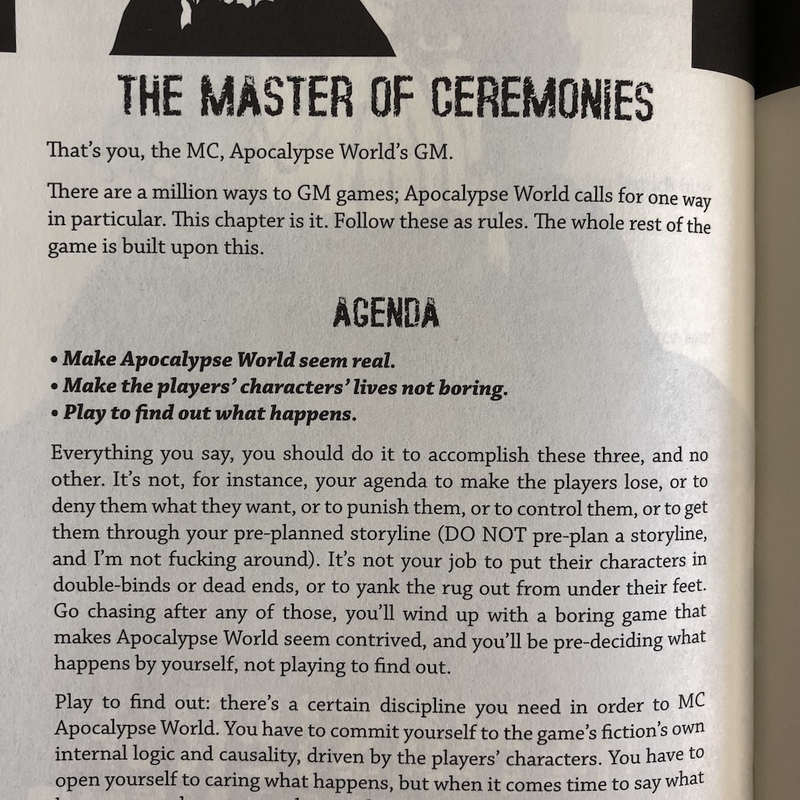 you’re using a particular RPG rules set for that short mini-scenario). Or a setting like the old Chaosium Magic World. Just my 2 cents worth. In my adult life, I’m graduated almost entirely to playing “short-form campaigns”, and have come to similar conclusions. Useful discussion; thanks for posting the link. For short campaigns (or extended adventures, really) I use a combination of restricted geography (say, a chain of isles or a city with closed gates) and a starting goal that can’t be reached right away. The Vault of Larin Karr and The Lost City of Barakus come to mind as good examples (although it’s been quite some time I read those; that is to say my opinion of them isn’t fresh).